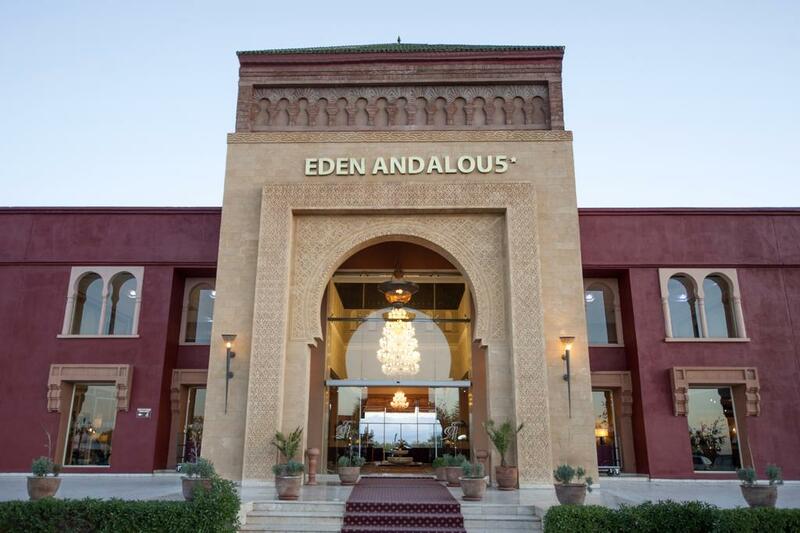 Facing the Atlas, Just 10 minutes’ drive away from the Medina and Marrakech airport, stands the Eden Andalou Aquapark & Spa: a large and sumptuous resort with all the criteria of a real palace. 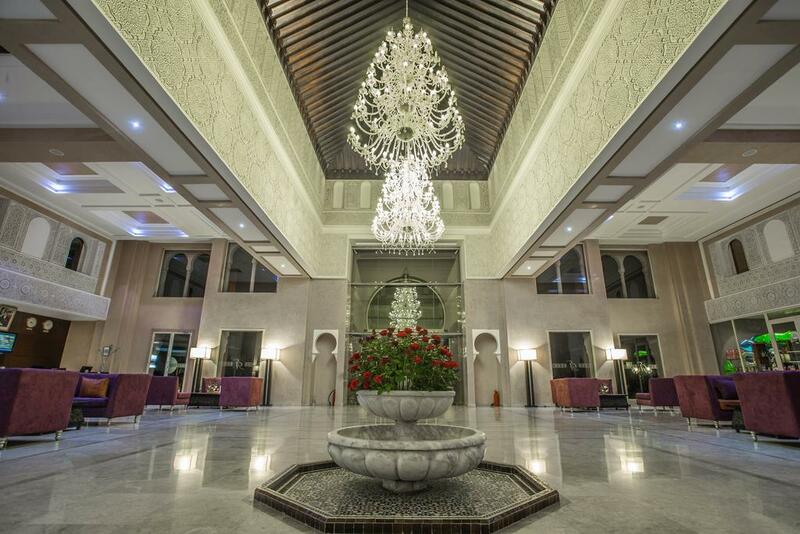 Its monumental entrance opens the door to an area of 7 hectares, falling within the pure Arabic and Andalusian tradition from the 10th century. 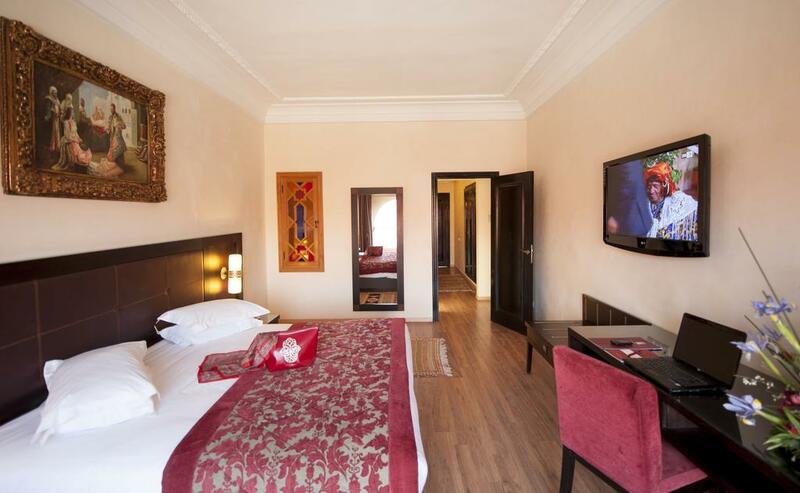 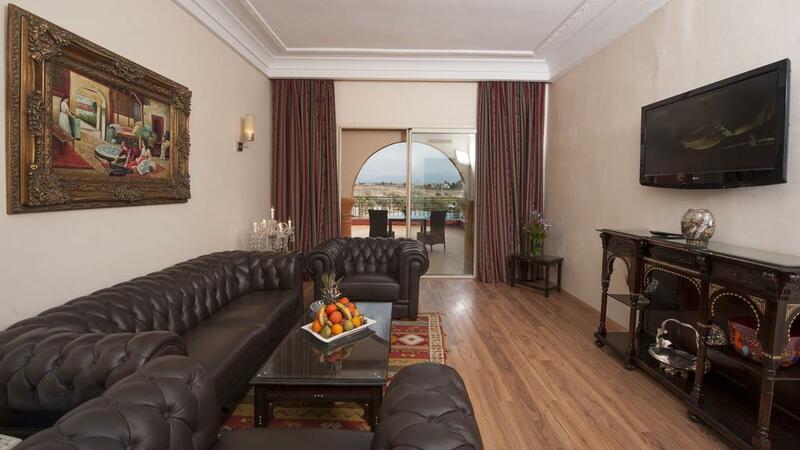 There are 247 suites spread over six riads, made in carved stucco, zellige, white marble and Bohemian glass. 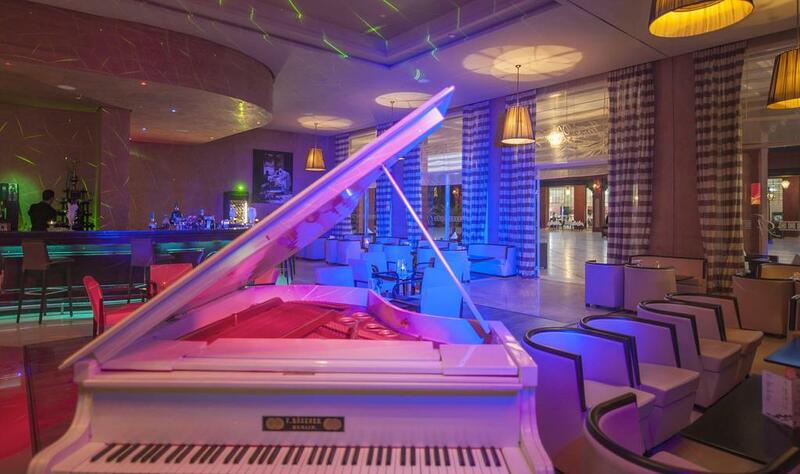 There are many bars and restaurants surround the Esplanade. 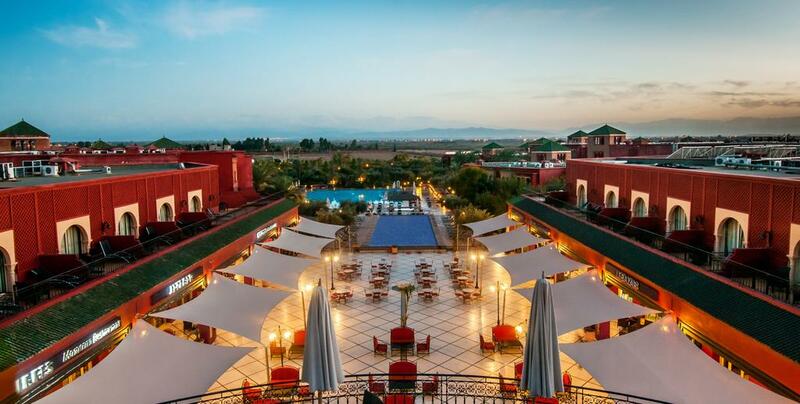 Past the Andalusian Esplanade, enjoy the Olympic swimming pool with its beach in teak wood, all along with the Atlas Mountains as the loveliest background. 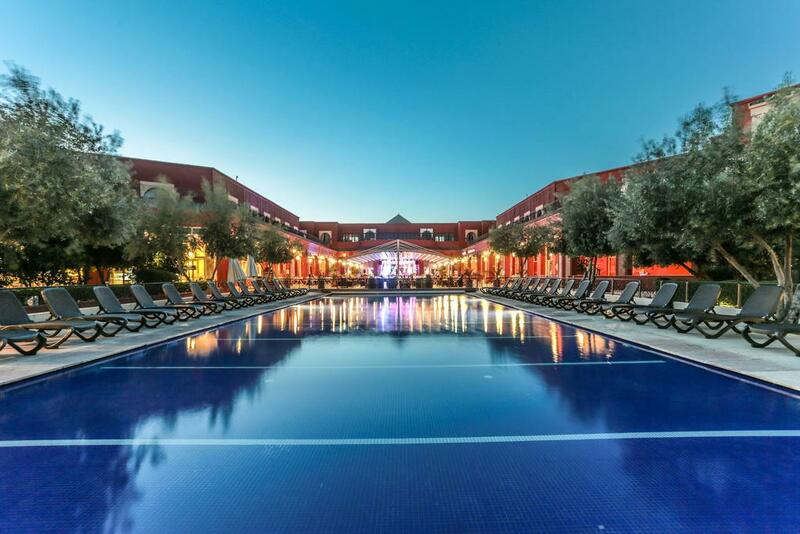 Adjoining to Eden Andalou Aquapark & Spa is one of the largest aquapark named eden Aquapark. 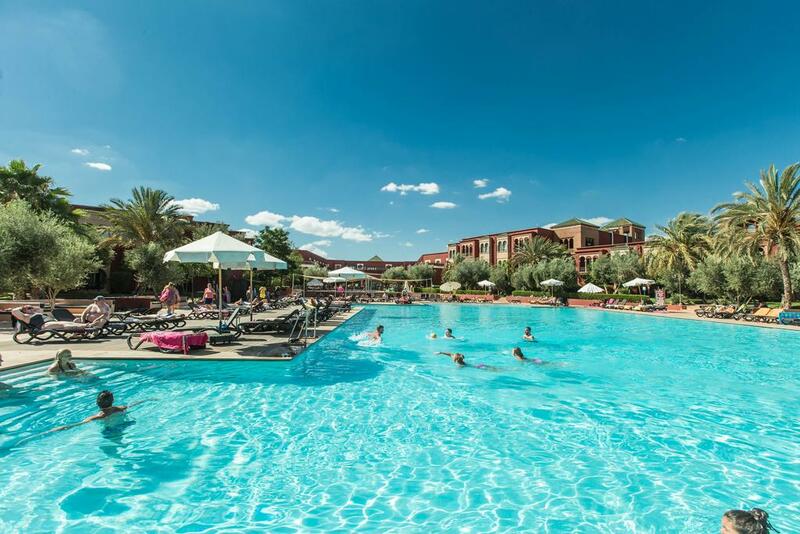 We are pleased to introduce this new family Aquapark concept fully operational and thought to mutual customers, it will provide space for recreation and relaxation for young and old.The aqua park features 6 swimming pools, a river, sports fields, a beach for little pirates, water slides, a park, a solarium, snack bar, and entertainment, 17 slides and attractions.